Third Place Blog: Clash of the Titans! 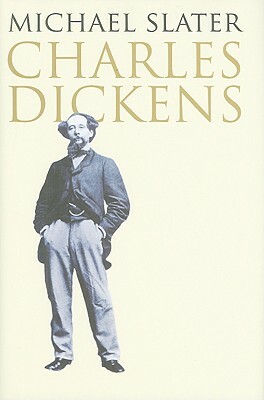 Last November Michael Slater’s Charles Dickens: A Life Defined by Writing was published. On page 502, Slater casually lets drop the stunning fact that Fyodor Dostoevsky met and talked with Charles Dickens in London in 1862—which places the meeting near the end of Dickens’ writing career and in the middle of Dostoevsky’s (who had yet to write his best-known novels). In a letter 16 years later, Dostoevsky wrote about the meeting. This letter was translated by Stephanie Harvey and first published in a 2002 issue of a scholarly Dickens journal titled The Dickensia. He told me that all the good simple people in his novels, Little Nell, even the holy simpletons like Barnaby Rudge, are what he wanted to have been, and his villains were what he was (or rather, what he found in himself), his cruelty, his attacks of causeless enmity towards those who were helpless and looked to him for comfort, his shrinking from those whom he ought to love, being used up in what he wrote. There were two people in him, he told me: one who feels as he ought to feel and one who feels the opposite. From the one who feels the opposite I make my evil characters, from the one who feels as a man ought to feel I try to live my life. Only two people? I asked.